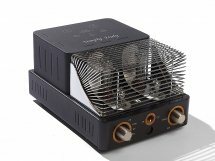 The new Simply Italy pure Class A single-ended ultralinear 12 watt Integrated Amp with Tung-Sol EL34 power tubes celebrates Italy's 150th Anniversary. 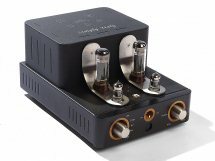 See Sam Tellig's review in the August 2012 Stereophile, "the Simply Italy delivered the truth of timbre that tube amps are noted for, as well as something they're not: tight bass...The Simply Italy is an amplifier I can recommend to someone who wants tubes without trouble." 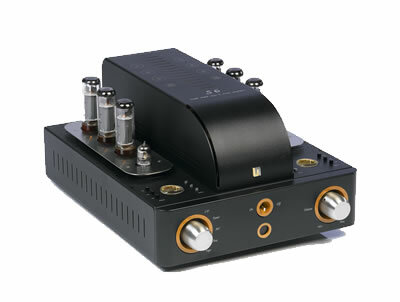 Stereophile Class B Recommended Component! $2995 retail. A true high end bargain. The S6 35 watt pure Class A single ended ultra linear Integrated Amp with EL34 power tubes is a true high end bargain. It is a gorgeous amp with wood remote, preamp output for sub, and a delicate, detailed sound. John Marks of Stereophile says in his August 2013 review, "totally fatigue-free, with surprising dynamics and bass; a Class A integrated amplifier." Yes, Stereophile Class A rated! It is a Hi-Fi Choice Editor's Choice: "It sounds absolutely gorgeous, delivering that sweet glowing richness that tubes are famous for without loss of bite or immediacy. Indeed, it's the combination of silky smoothness and crisp immediacy that is so alluring." Read the Hi-Fi Choice review. Available in Cherry and Mahogany. tube cage is standard. $5595 retail. The Preludio 14 watt pure Class A single ended ultra linear Integrated Amp with KT88 power tubes is the most powerful 14 watt amp made, capable of driving high efficiency speakers like the Triangles. It is a gorgeous amp with wood remote, preamp output for sub, and a delicate sound. The Preludio is a bargain. Sam Tellig agrees. In his January 2007 Stereophile review he states, "It sings. It soars. It produces some of the sweetest midrange and treble I've heard - without obscuring fine detail...I've fallen in love with this thing..." A Stereophile Recommended Component. Available in Cherry and Mahogany. $4195 retail. 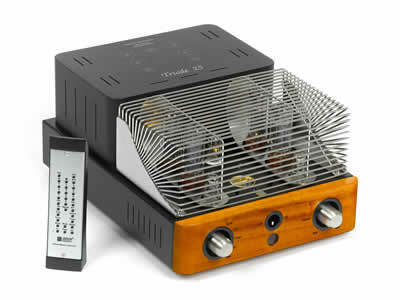 The Unico Secondo 100 watt Hybrid balanced Class A Integrated amp has a tube input stage and mosfet output stage, IR wood and metal remote, a balanced input, preamp output, and two sets of binding posts for bi-wiring, plus the same quality Italian sound, design, and craftsmanship of the Unico line. Replaced by the new Unico Due. The Unico Primo 85 watt Class A Hybrid Integrated Amp with remote has the same great looks and build quality of the Unico line. 12AX7 tube, subwoofer output, two sets of binding posts for bi-wiring. $2395 retail for silver, $2595 for black. For MM/MC phono add $225. 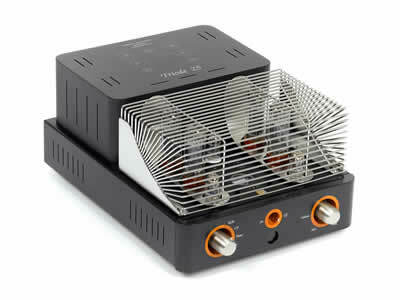 "Unison Research's Unico Primo integrated amplifier is an Italian over-acheiver" says Stereophile's Ken Micallef. "The Primo played this mellow music with sweet, rhythmic attentiveness." The Unico Nuovo 90 watt Class A Hybrid Integrated amp is almost as good as the Unico Secondo. Pair 12AX7 tubes, subwoofer output, 5 RCA inputs, tape output, two sets of binding posts for bi-wiring. Discontinued. 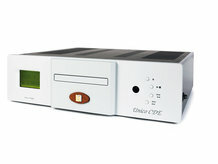 The Unico CDE+ Upsampling CD Player has 4 twin triode tubes in the analog output stage which gives it a smooth, refined, fluid, and very musical sound, and the + Upsampling DAC. The build quality and finish are top notch so you get the whole package with the CDE. The remote is wood and metal, there is a digial input, and single ended and balanced outputs. Available in silver and black. Replaced by the new Unico CD Due. 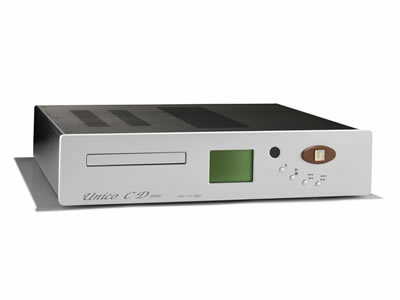 The Unico CD Primo tube 24 bit CD Player with upsampling is a great CD Player. TEAC transport, Wolfson DAC,12AU7 tube, wood/metal remote. USB Input, single ended outputs, plus a digital output. Available in silver and black. $2495 retail for silver, $2695 for black. For more information on Unison Research products, click here.